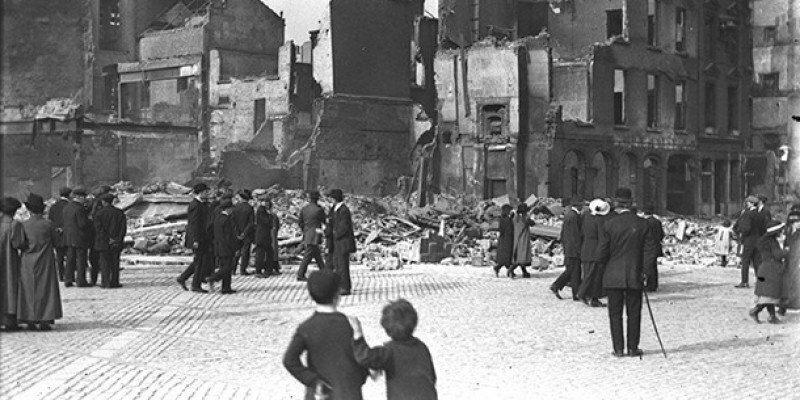 Narrated by actor Liam Neeson, the series 1916 THE IRISH REBELLION tells the dramatic story of the events that took place in Dublin during Easter of 1916, when a small group of poorly-armed Irish rebels took on the might of the British Empire. Although defeated militarily, this small group of men and women would wring a moral victory from the jaws of defeat and would inspire countless freedom struggles throughout the world. The documentary-featuring a combination of rarely seen archival footage, new segments filmed on location worldwide, and interviews with leading international experts-also uncovers the untold story of the central role Irish Americans played in the lead-up to the rebellion.